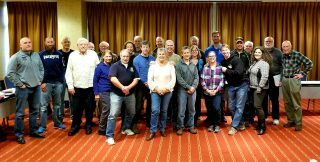 The AWSA Board of Directors met on August 8th, just prior to the 2017 National Championships. You can find the “unofficial” minutes from that meeting HERE. This meeting is open to all AWSA members. Come find out what’s new and let your voice be heard. We were able to secure our traditional location for the weekend of January 6th and 7th at the Embassy Suites Valley Forge Hotel, 888 Chesterbrook Blvd, Wayne, PA 19087, (610) 647-6700. This date is consistent with past years. We’ll be sending out another message with all of the details. A vote was taken at the summer meeting and was roughly equal. Please share your thoughts here about the pros and cons of each.